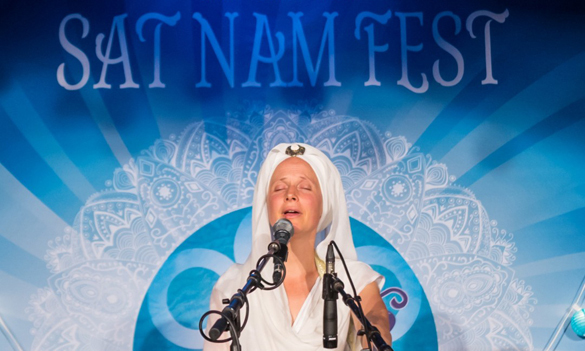 Sat Nam Fest was born out of the inspired dream to want to bring people together in happy, healthy, holy harmony…with the intent to dive deep, expand, explore, elevate and celebrate through sacred mantra music, kundalini yoga, meditation, sadhana, soul inspiring workshops, community meal time and more. 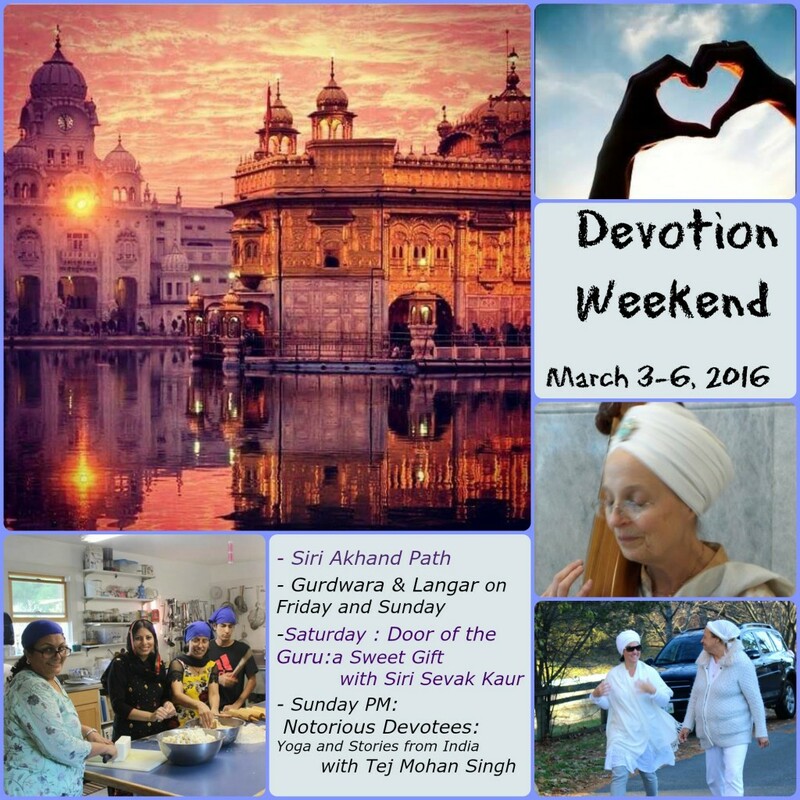 Many have said this festival is life changing, transformative and profoundly purposeful. Others have said their hearts have never been opened so wide. We’ll let you decide. Come join us to experience for yourself this bountiful, blissful, beautiful experience we call Sat Nam Fest. It’s like a soul family reunion! Come home to your heart! 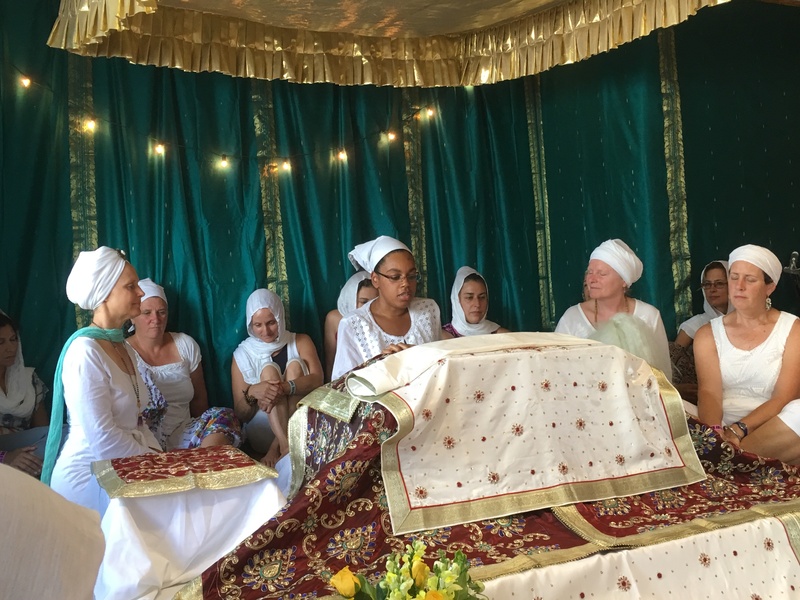 As part of morning Sadhana (spiritual practice), we join together in the “House of the Guru” to sing the praises of the Infinite and connect to our divine self. The Sikh form of worship is through the Shabad Guru, the Divine Sound Current, the eternal vibration of wisdom, which breaks through illusion and gets us to our core. Each morning we will sing Gurbani Kirtan and sacred songs, will be led in the recitation of a Prayer (Ardas), and hear a daily Passage (Hukam) from the Siri Guru Granth Sahib, which will offer guidance for our day. Different musicians sing each day.